"Beyond macroeconomic factors [...] technology is driving profound changes to economies and societies across the continent. The hundreds of millions of mobile handsets and billions of airtime minutes only go some way to describe the scope of entrepreneurship that underpins Africa's technological revolution. From mobile payments to telemedicine and advertising, there is a common pulse of innovation, driven by an irrepressible combination of aspiration and necessity. This is the new Africa." 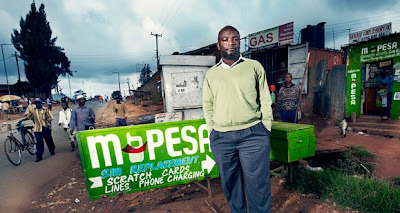 Companies and innovators mentioned include M-PESA, Verviant, PesaPal, Safaricom, Google, Wananchi, Zuku, InMobi, Encipher, mPedigree, Kalahari, Dealfish, Mocality, and more.